This book started off well, and interesting. A murder mystery and a ghost who wants answers. It had a couple truly creepy moments early on. Unfortunately the school setting, characters, and story was just filled with all the cliches and tropes we've seen way too often. The only originality was how the ghost, Kayla, had a kept a diary while alive and referenced to the people she was writing about with numbers. The only thing I would look forward to about a third of the way in was the diary sections. This had the potential to be creepy, but instead of realizing that potential, settled for not much at all. 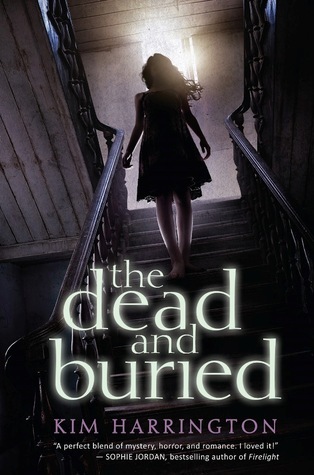 Sign into Goodreads to see if any of your friends have read The Dead and Buried.